“Britannia has called a meeting, to listen to her people. Form an orderly queue.” A play about representation, challenging stereotypes, and is a political conversation on a national level, ‘My Country’ is a dramatic representation of the diverse views that came to the fore during the Referendum campaign. “The theatre is a community centre” according to the Director of ‘My Country’, Rufus Norris. Norris said that the aim of the project was to “give people the opportunity to speak”, providing “balanced views” on what it means to be British, and the politics of Brexit. Carol Ann Duffy, who provided artistic input for the play, explained how the team selected “voices which had lives behind them”, and considered the individuals’ “journeys” that brought them to their decision on the Referendum. A seven-person regional cast aims to represent these views, brought together by “Britannia”, who’s mental breakdown at the climax of the play, appears to be a personification of the breakdown of Britain as a whole. However, following this, the country appears to come together in the “keep calm and carry on” attitude fundamental to the British national identity. British society has always been polarised in its political opinion. But especially since the Referendum, it has become impossible to “sit on the fence”. Everybody feels entitled to express their opinion, but unfortunately this has created division in society, and caused an “them and us” atmosphere. Those who voted ‘leave’ are considered ignorant bigots by some, and those that voted ‘remain’ are considered naïve and backward by others. ‘My Country’ seeks to challenge these stereotypes, and consider people’s reasons and journeys behind why they voted the way they did. The play celebrates and challenges clichés, joking about accents and using stereotypical dances and poetry to engage with the audience. 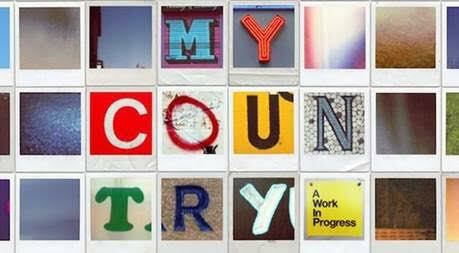 ‘My Country’ presents snippets of the hundreds of voices that were collected in interviews that were held during the run up to, and the fallout after, the Referendum. However, by doing this, it misses out on giving time to telling the tales of the people that the Director claimed was so integral to understanding why people voted the way they did. The Q&A session with the actors and directors helped to give a background of the project behind the play; moreover, the researchers who collected the individuals’ views explained how the people’s stories behind their personal views had helped justify their political behaviour. The play is limited by its intent to try and present as many diverse opinions as possible, because in doing so, it risks reducing and simplifying people’s complex political views into seconds-long sound-bites. The actors themselves felt an effect throughout the process of creating the play. During the Q&A session, they revealed how they gained a “broader perspective” from being “part of the conversation”. The actors revealed the importance of “keeping the conversation alive”, and giving a voice to the ordinary under-represented people who voted ‘Leave’ in Brexit as a “cry for help”, according to the ‘My Country’ cast. The play works as a form of ‘rapid response’ theatre, and acknowledges that, as we do not know the full impact of Brexit yet, ‘My Country’ is fundamentally ‘A Work in Progress’. Considering this, as well as other practical and artistic limitations, the play is not a consideration of a faithfully diverse range of viewpoints, but a restricted selection of unique individuals. ‘My Country’ will be touring from the 28th March to 1st July in Glasgow, Derry, Liverpool, Manchester, Leicester, Cardiff, Gloucester, Edinburgh, Birmingham, Warwick, Clywd, Cambridge, and Stratford East. ← Is Addiction a Disease?